In a Nutshell: Hundreds of thousands of homes were either damaged or destroyed by hurricanes and high-wind storms in 2017. Many of those homes were built in high-risk areas with materials not suited to stand up to hurricane force winds. As reconstruction takes place on these dwellings, many are using the same materials to rebuild their home. To offer a stronger, safer alternative, the Insurance Institute for Business and Home Safety (IBHS) has increased the scope of its Fortified Home program from Florida and Louisiana into coastal Texas. A Fortified Home upgrade strengthens the continuous load path of your home and ties your roof, walls, and foundation together to double the strength of your home. Homes certified as having met the Fortified Home standards see an increase in appraised value and lower insurance premiums. Last spring, the grass along the side of my house was littered with hundreds of orange plastic screws and covered with footprints from the workers who had spent days installing 10 solar panels on my neighbor’s roof. At the time, I thought the litter and shoe impressions were as aggravating as it could get. So you can imagine how I felt when I checked my yard the morning after Hurricane Irma made landfall and found three of the crumpled panels resting in my azalea bushes. In hindsight, I was lucky. Besides a few broken tree limbs and a lot of debris, I had no property damage. My neighbor, on the other hand, had to pay to replace the panels destroyed by the storm. Julie has seen the damage that hurricanes and other natural disasters can cause. As President and CEO of the Insurance Institute for Business and Home Safety (IBHS), she’s led the nonprofit’s scientific research, which seeks to create more resilient communities for home and business owners. 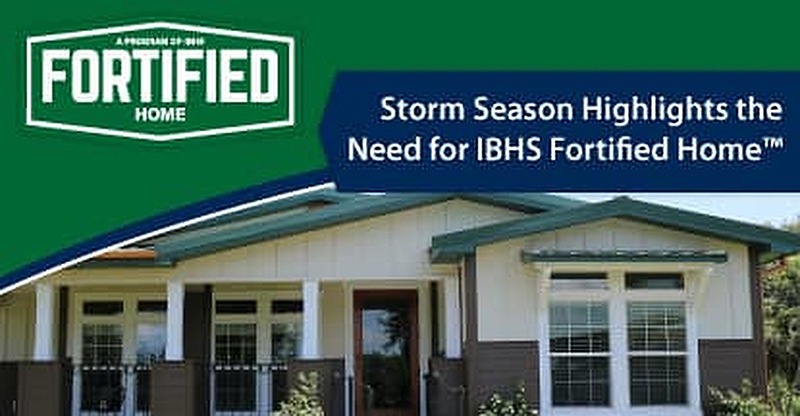 The institute’s Fortified Home program is a set of national construction standards for homes and commercial buildings that keep structures standing through storms that destroy other dwellings. The engineering and building standards are designed to help strengthen new and existing structures through system-specific building upgrades to minimum building code requirements that reduce damage from hurricanes and high winds. 203,000 homes and destroyed 12,700 along its destructive path in Texas. Nearly 25% of the homes in the Florida Keys were destroyed by Hurricane Irma. Three months after Hurricane Maria, half of Puerto Rico was still without power. Julie said that these storms taught lessons to residents in those areas, but the work to improve the stability of residential and commercial buildings still has a long way to go. Fortified uses strict building standards and construction methods to build new homes — or improve existing ones — that are twice as strong as those built using traditional building practices. Following the upgrades, an inspector certifies the home as being Fortified, a designation that lasts for five years and can be recertified for as long as the home passes inspection. Julie says the designation isn’t just for show. Fortified homes have been tested and proven to be stronger. IBHS is the only lab in the world that does testing on full-scale structures instead of smaller models of the buildings. The key to a Fortified Home’s sound structure is a strong continuous load path. Most homes are built with a roof, walls, and foundation that are nailed together, or attached in a tenuous way that can easily be severed when storms or high winds come through. Fortified homes have those three critical pieces — roof, walls, and foundation —tied together in a way that makes them very difficult to separate. Julie likened the process to a human skeleton. While someone may have strong, solid bones, they cannot function properly without the tendons and ligaments to tie them together. That’s what Fortified Home’s strong continuous load path provides. The program is available in areas where hurricanes and high-wind storms take place affecting building structures. Recent storms have made the program available further west, into coastal Texas. The reception has been enthusiastic so far. A Fortified Home not only gives homeowners peace of mind during severe weather, but it also increases the appraised value of your home. 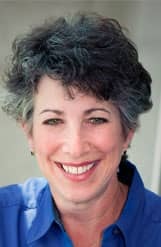 Julie Rochman is the President and CEO of IBHS. A study by The University of Alabama’s Insurance Research Center looked at home prices from 2004 through the first quarter of 2016 and found that a Fortified Home had a 7% higher appraised value than similar structures without the certification. The percentage increased as homes got closer to the coast and areas more likely to be impacted by storms. The higher appraised value can be enough of a return on investment to make the upgrades worthwhile, but Julie noted that certain Fortified features can also decrease homeowners’ insurance policy premiums. Upgrades come in three different levels — bronze, silver, and gold — to meet nearly any budget. Julie noted that her insurance policy decreased by 18% after she had a bronze roof installed on her home recently. Similar upgrades have created savings beyond just the insurance premiums. Insurance companies are also learning of the strength of a Fortified Home. Nationwide recently unveiled its Better Roof Replacement policy add-on that provides existing homeowner policyholders the option to have their roofs replaced with a Fortified model if their existing roof is ever damaged in a storm. If you’ve ever lived through a hurricane, you know how exhausting and terrifying it can be. The days leading up to the storm are filled with long lines as people stock up on essential groceries and fuel for their cars with the expectation that it may be a while before they have further access to either. Then comes the waiting game. By the time the storm hits, you’re already fatigued from the stressful preparations. Those agonizing hours as the storm passes overhead can be lightened knowing you’ve made the necessary upgrades to certify your dwelling as a Fortified Home. Having a Fortified Home creates an improved continuous load path that doubles the strength of your home and makes extensive damage from hurricanes and high winds far less likely. The upgrades can fit into any budget with bronze, silver, and gold packages available to new and existing homes. Homes certified as Fortified have been appraised at higher values and often decrease homeowners insurance policy premiums. Add to that the peace of mind that comes with knowing your home is more likely to survive a storm and the return on investment multiplies. Julie sees the trend growing toward more stable home-building practices. Insurance providers, including Nationwide, have already come on board with its Better Roof Replacement endorsement. The next step, she says, is for the mortgage industry to see the benefit.